Commercial real estate is booming in many parts of Tennessee. If you handle commercial real estate financing for your clients, you need to be on top of all procedures and regulations involved. You must also effectively counsel your client on different financing options and which will be optimal for the client. Commercial Real Estate Financing: Key Regulatory Issues, Negotiation Tactics, and More — is just $99. 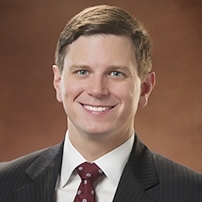 J. David Wicker is a member of Stites & Harbison PLLC, in their Nashville, Tennessee office. Mr. Wicker’s practice include all aspects pertaining to the development, acquisition, sale and financing of commercial real estate. He represents owners, developers, lenders, and other participants in a wide array of real estate transactions, forming and modifying business entities and joint ventures, and the documentation of syndicated credit facilities, asset-based loans, real estate financing and the extension of credit to various types of businesses. He graduated with his B.A. degree from Southern Methodist University and he earned his J.D. degree from Southern Methodist University School of Law. Mr. Wicker is a member of the American Bar Association (Business Law and Real Property, Trust and Estate Law sections), the Tennessee Bar Association (Real Estate Law Section, Executive Council), the Nashville Bar Association, the National Association of Industrial and Office Properties (NAIOP), and the Urban Land Institute (ULI).